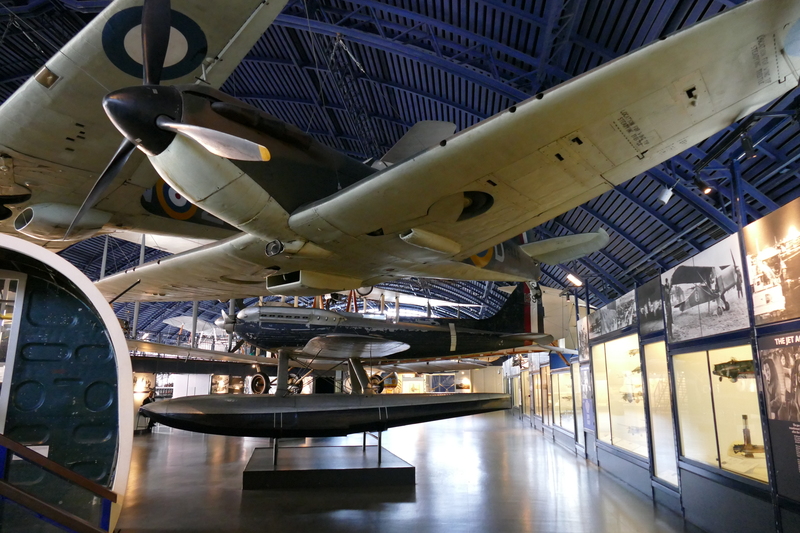 Since changing their company name from Pemberton Bullen in 1917, Supermarine had built themselves up quite the collection of aircraft, with a main focus on seaplanes. 1917 was a fortuitous year for Supermarine in another way as well, as a certain Reginald J Mitchell had joined the design team. Mitchell was a driving force in the company from the start and had risen to the role of chief designer by 1919. As the 1920s rolled on and Mitchell continued to design a number of float plane designs for the company, he became interested in the idea of speed. He wanted to perfect the design of the racing seaplane. Mitchell’s ultimate air race machine, the S.6B. Much of the techniques and technology developed in these races led to the Spitfire. 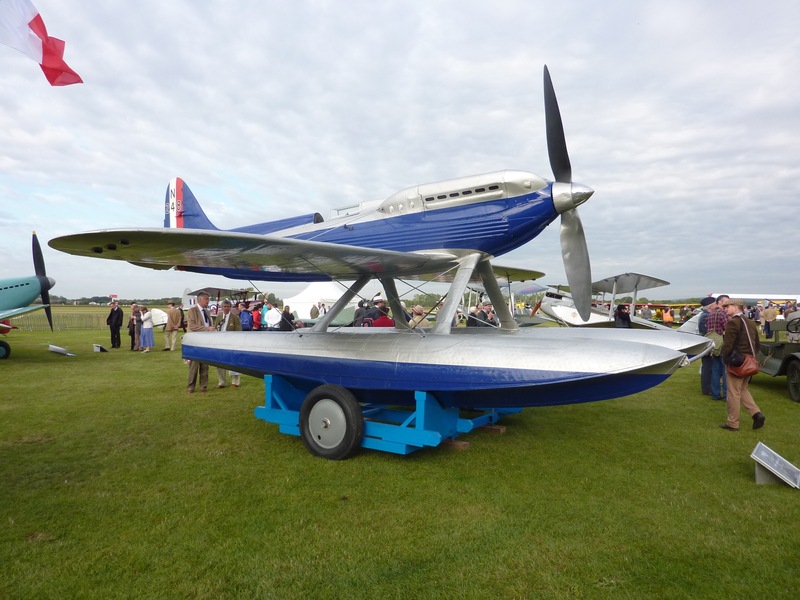 For many years the internationally recognised test for a fast aircraft, specifically flying boats/float planes was the legendary Schneider Trophy Air Race. 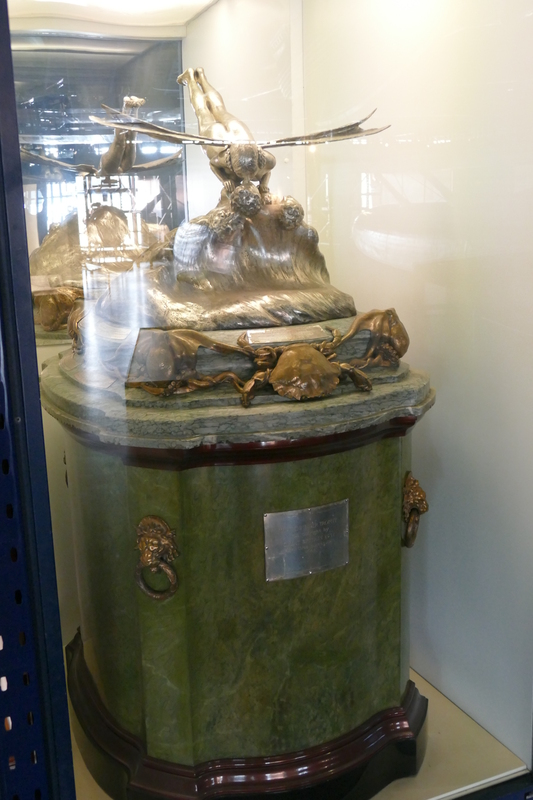 The original trophy, on display at the Science Museum. – Once a nation one three races consecutively, they kept the trophy permanently. The race had to last 350km and was completed by performing a certain number of laps around a closed circuit, in most cases a triangular course. When Mitchell took over as chief designer Britain were still reigning champions, with the Sopwith Tabloid having come 1st in the 1913 run. A race was run in 1919 and Supermarine entered with the Sea Lion I, though the aircraft sadly sank on the start line. Heavy fog plauged the race and in the end the results were enulled. It didn’t take Supermarine too long to return and find success in the competition, winning the 1922 instalment with the Sea Lion II, which was powered by a 450hp Napier Lion engine, achieving a top speed of 145.7mph. 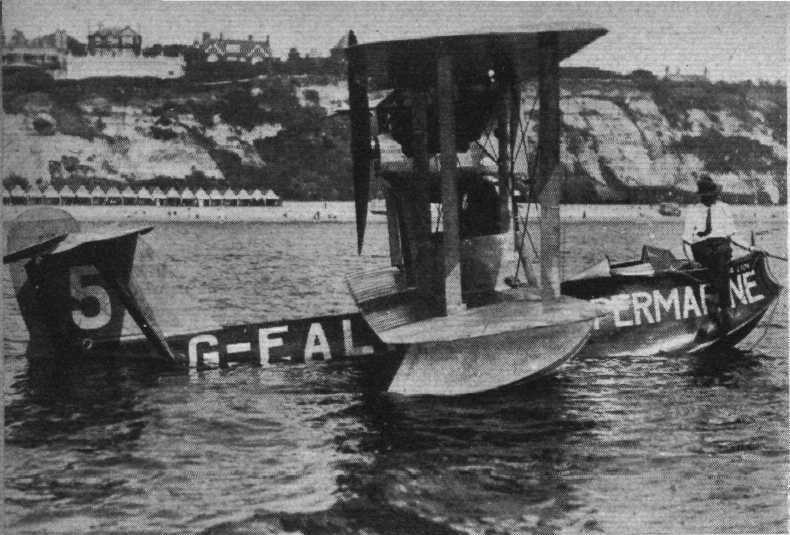 The Company’s first success, the Sea Lion II – Crown Copyright. In 1923, the Southhampton company had dropped down the rankings to 3rd with the Sea Lion III, featuring a 550hp engine and a top speed of 157hp. The winner in 1923 was an aircraft from Glen Curtiss, who would provide many impressive racing aircraft in the coming years. The Sea Lions had performed well, but were in essence still a modified version of the 1919 aircraft and were still flying boat designs, times and fashions were moving towards much sleeker machines. By 1925 it was time for Mitchell to unveil a basic design that would go on to greatness in the next 10 years. 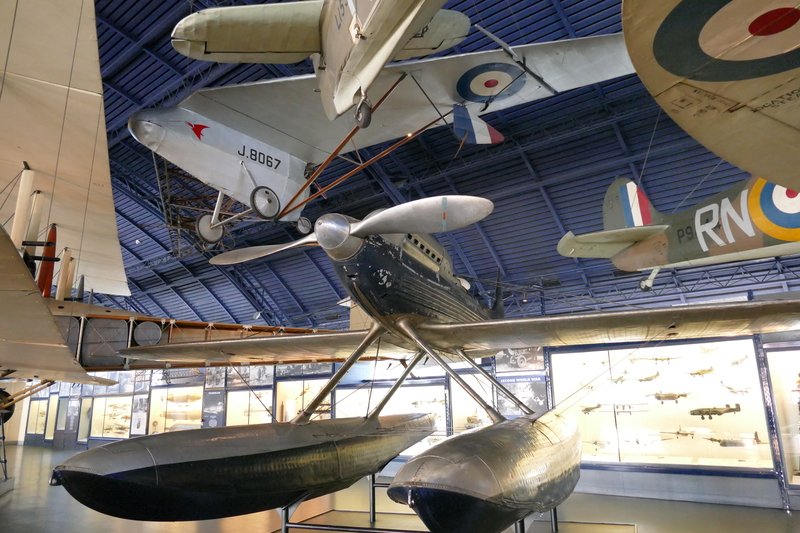 The S4 floatplane first flew on the 24th May 1925 and was a quantum leap from the flying boat designs entered in earlier races. 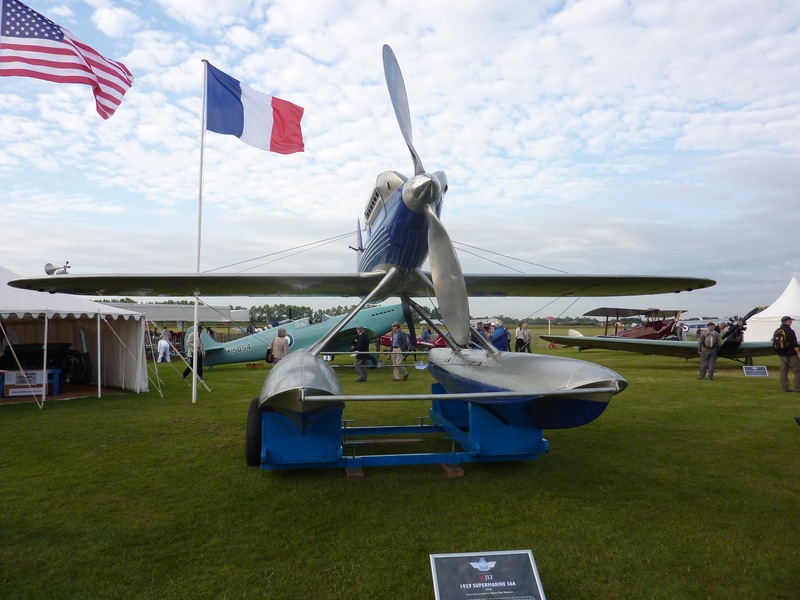 It featured a wooden wing and a mixed metal and wood fuselage, powered by a 680hp Napier Lion VII. This high powered engine combined with clean lines seemed destined to perform well in the race. With the recent record adding to the confidence in the British team, the aircraft was shipped over to America. Tragedy struck however on a training flight over Bay Shore Park in Baltimore as the S.4 was seen to sideslip into the lake from 200 feet. Unsurprisingly the machine was wrecked. 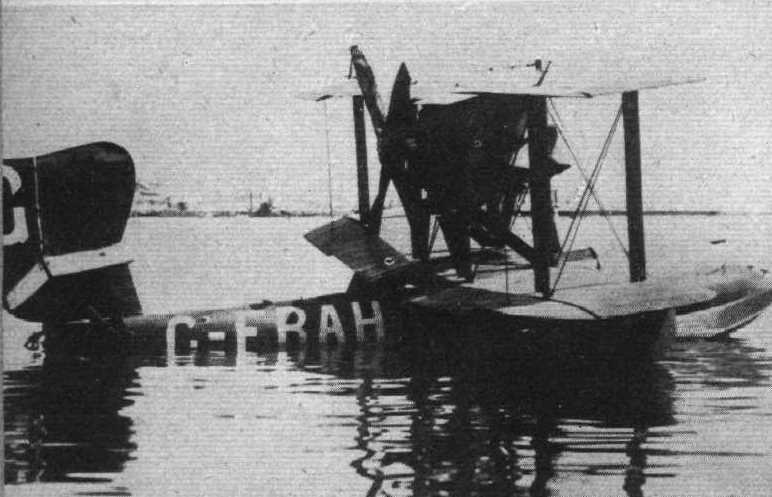 H.C. Baird, the pilot at the time, survived with two broken ribs and stated he lost control due to wing vibration. Britain’s hopes now remained in the hands of the Gloster III, though ultimately it would be another Curtiss Machine, the R3C, flown by Jimmy Dolittle, that would take the trophy. Mitchell returned to the Schnieder race after the sorry demise of the S.4 in 1927, as there had been no time to build a new machine for the 1926 race, with an improved design, the S.5. This time around the construction was entirely metal and had stronger wings than that of its predecessor. 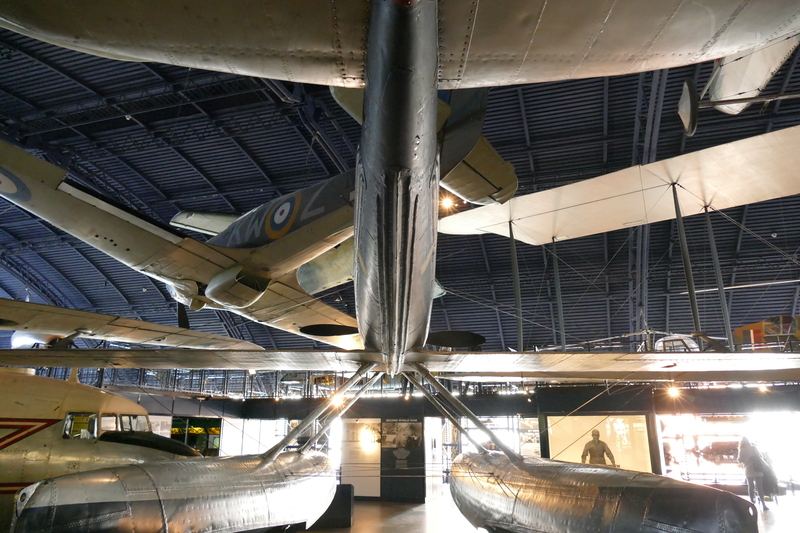 The S.4 was a mid-wing aircraft which had no extra support, the S.5 had low wings which were braced from the floats below. A feature added to the S.5 that would play an important part in Supermarine’s efforts was the cooling system. 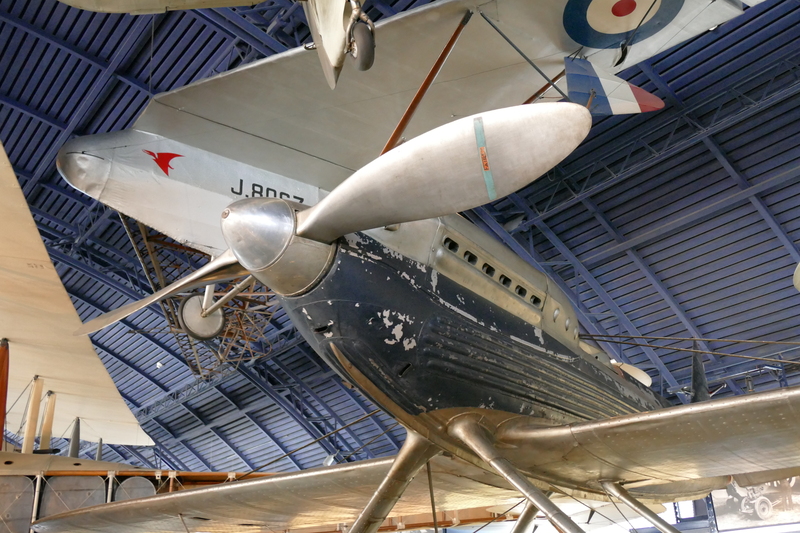 Corrugated sheets of copper were used on the wing surface to act as radiators, eliminating the need for a radiator to be sticking out in the airflow. Three aircraft were built, one powered by a 900hp Napier Lion VIIA, while the other two were powered by an 875hp VIIB. A machine as advanced as this was beyond the funding power of Supermarine. Luckily, in May 1927, the Air Ministry realised the military potential of the designs and agreed to fund the project. As part of this new partnership a new RAF flight was formed; The High Speed Flight. The S.5’s first flight came on the 7th June 1927 and it proved to be an excellent design. The High Speed Flight pilots tested the machines extensively through July. Most of these practice flights focused on take offs and landings as this was where the S.5 was most vulnerable, due to torque, poor forward visibility and a high landing speed. The team managed to tame the S.5 and in the race, held in Venice on the 26th September, were placed first and second with two of the S.5s. The winning aircraft, N220, was clocked at 281.6mph, flown by S.N. Webster with N219 coming in second. Mitchell had achieved a world beater and regained the Trophy for Britain for the first time since 1922. On the 12th March 1928 S.5 N221 crashed while undertaking a world record attempt. The pilot was killed. A major rule change was actioned for the Trophy in 1928, it was decided the competition should be held every other year, in order to give competitors more time to develop machines. 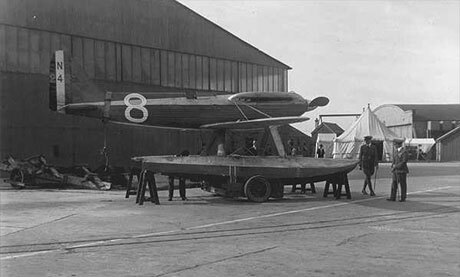 S.6A out of the water at Calshot in 1929. Keen to build on the success of the 1927 race Mitchell looked to develop the machine further. His first thoughts were that the Napier power-plants had given all they could to the efforts, choosing the new Rolls Royce R engine for his next project. The “R” produced 1900hp, double that of the S.5, so while there were obvious similarities in designs, the S.6 required some serious changes. Cooling such a high performance engine was a great concern. This was solved by building on concepts proven in the S.5, as well as surface radiators on the wings, they were also added on the floats, hot oil from the engine was piped down the side of the fuselage, cooling it as it went. The fuselage was now so streamlined that there was no room for fuel, as a result it was decided the floats would be used as fuel tanks. The oil pipes down the side of the fuselage are evident in this shot of the S.6B. As is the very narrow cockpit. Two S.6s were built, N247 and N248, both of which were entered into the 1929 trophy race to be held at Calshot on the 7th September. On the 5th August the Squadron Leader of the high speed flight, A.H Orlebar was ready to take the first flight in the new S.6. However he wasn’t able to leave the water, the enormous torque from the new high powered engine pushed the port float into the water which then pulled the aircraft round, making take-off impossible. This was easily rectified however once the decision was made to store most of the fuel in the starboard tank. 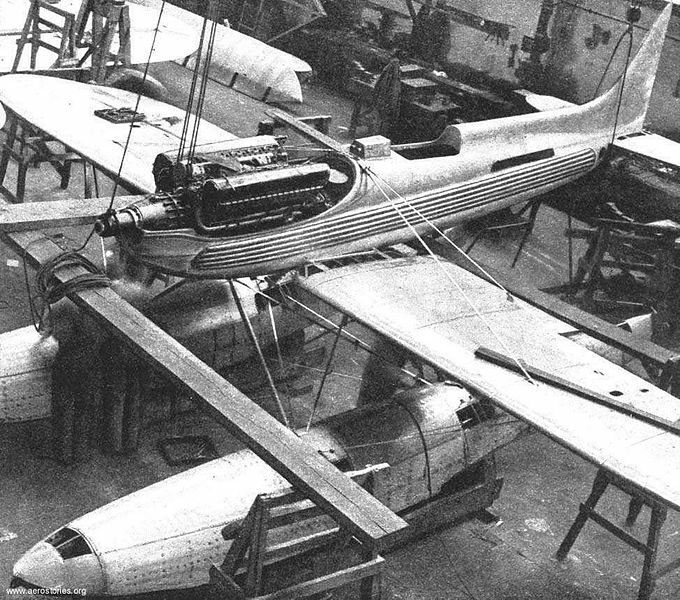 An S.6 under construction, with the Rolls Royce R engine clearly on view – Crown Copyright. 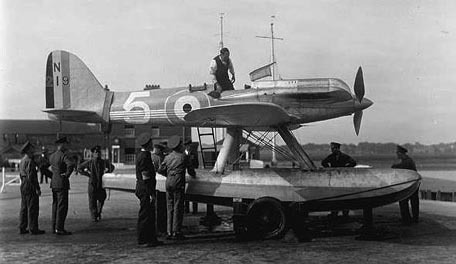 Soon enough race day was nearing, the day before, the 6th September, brought a number of test flights, after which the aircraft were returned to the shore where they would be tested for watertightness. As the S.6s sat out tied to their buoys it became apparent the N248 was slowly listing to one side, on further inspection a leak was found. Fixing the leak prior to the inspection would mean disqualification so following Mitchell’s guidance the aircraft was left until 6 hours later when it could be removed and fixed. Luckily for the team N248 didn’t sink. This wasn’t the end of the gremlins in 1929 though, while an engineer was changing the spark plugs on N247 he discovered a serious problem. It was concluded that the engine or block would have to be changed. An engine swap was impossible as it had to remain in situ to stay within the event rules. S.6A N248 at Goodwood in 2011. This rule would even make changing the block very difficult, too difficult for any of the engineers on site overnight. This meant that the Rolls-Royce engineers had to be woken up and brought to the aircraft. The work progressed well until a gudgeon pin, which holds a piston to a connecting rod, was found to be out of reach of the right handed engineers. Fortunately out of the Rolls-Royce team, one was left handed, so the change was able to continue. The engine was run the following morning and was ready for the race. The Rolls-Royce R engine, seen here on display at the Science Museum. Flying officer H.R.D Waghorn came in first in N247, with an impressive top speed of 328.6mph, despite having had an engine failure on what he thought was the final lap. Luckily Waghorn had miscounted and the engine had failed on the eighth lap. N248 and Flying Officer Atcherley were disqualified as he cut inside one of the race markers. Mitchell had now won the race two times in a row, one more time and Britain kept the trophy forever. S.6B S1595 on display at the Science Museum in London. Shortly after this great achievement the government announced they would be removing all funding to the high speed flight and that there would be no entry to the 1931 trophy race. This decision was met with fierce opposition and disappointment from the British public, eventually resulting in the government going back on their decision, but there were now only a few months left until the big day. This last minute decision left Mitchell and his team very little option other than to make any improvements they could to the S.6 design. The two original aircraft N247 and ‘248, were dubbed S.6As, but were still lined up for entry in the race. 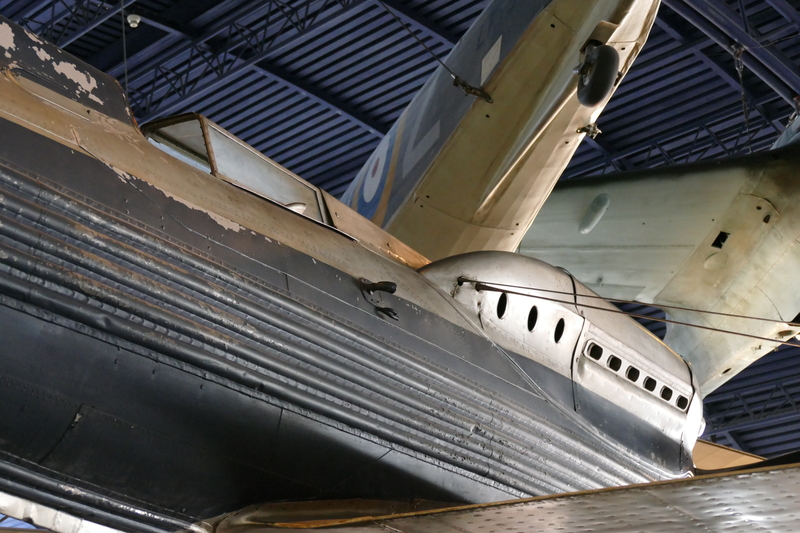 The aircraft has been left in a largely unrestored state, making this aircraft a unique time capsule. 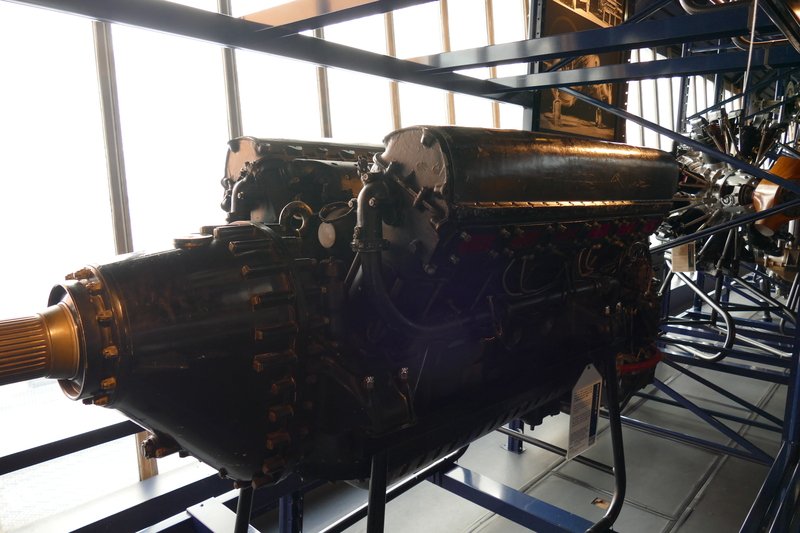 In the short time they had, the team added the new version of the Rolls-Royce R engine, which now produced 2,350hp, impressive when you consider how long it took the engines of WW2 to reach this level. Two new aircraft were built, S1595 and S1956 these were given the designation of S.6B. The S.6B’s first flight took place on the 21st July at Calshot, flown by Sqd Ldr Orlebar. The first flights were not without drama, with the new high powered engine causing an alarming swing. This was later deemed to be caused by too small a propelor so a larger diameter propellor was manufactured. The race was to be flown at Calshot once again and the British team had a plan all drawn out ready. Both the French and Italian teams had pulled out from the race, meaning Britain had no real competition so they were able to do as they wished. The initial run was to be made by S1595, if this aircraft failed then the tried and tested S.6A ‘248 would attempt a run. The reserve aircraft would be ‘247, with the other S.6B being held back for a record attempt. the S.6’s incredibly sleek design is clearly shown in this shot. Disaster struck on one of the practice days leading up to the race, when the 1927 winner N247 was destroyed during take off. Leiut. G.L Brinton of the Royal Navy was killed in the accident. This tragic accident forced the team to change the plans, with both S.6Bs and the remaining S.6A N248 being prepared for the race. On the day of the race, the 13th September, the winning run was flown by Flt. Lt. John N. Boothman in S1595, reaching a speed of 340.08mph. The speed record was broken on the 29th September, when S.6B S1596 reaching 407mph, helped by a further tuned “R” engine which now produced a staggering 2,530hp. Mitchell had set out to build the fastest float plane in the world back in 1919, 12 years on and he had not only achieved that but also built the fastest aeroplane in the world. His name would forever be in the record books and thanks to him and his team, the final Schnieder race had been won and the trophy would forever stay in Britain. It is without any doubt that Supermarine would have been nowhere near the household name they were to become had it not been for one man, R.J Mitchell. With his aims completed and the trophy secured Mitchell would now be able to apply what he had learned to fighter aircraft and we all know where that led him. 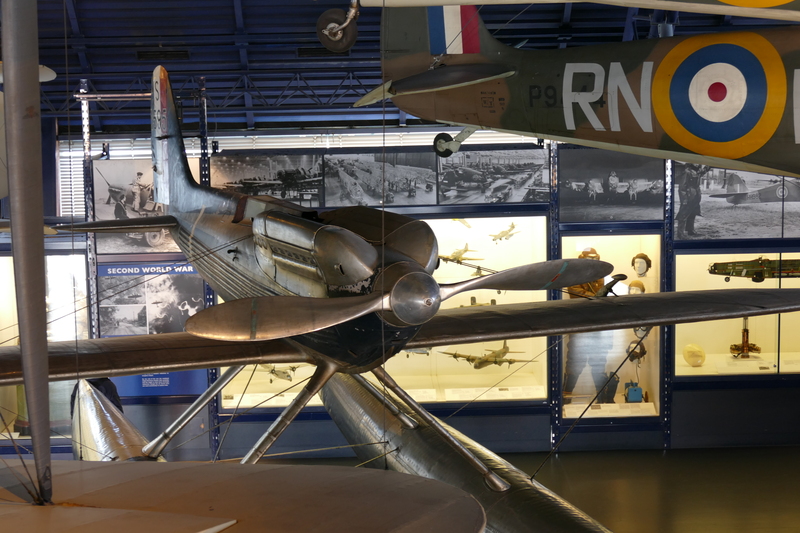 Looking forward: The S.6’s successor, the Spitfire clearly shown in the background of this shot. The S.6s were undoubtedly hugely important aircraft, both in the history or British and world aviation. The experience Mitchell and his team gained from this aircraft in terms of aerodynamics and the engine development that was carried out by Rolls-Royce paved the way for the legendary combination of the Spitfire and the Rolls-Royce Merlin. 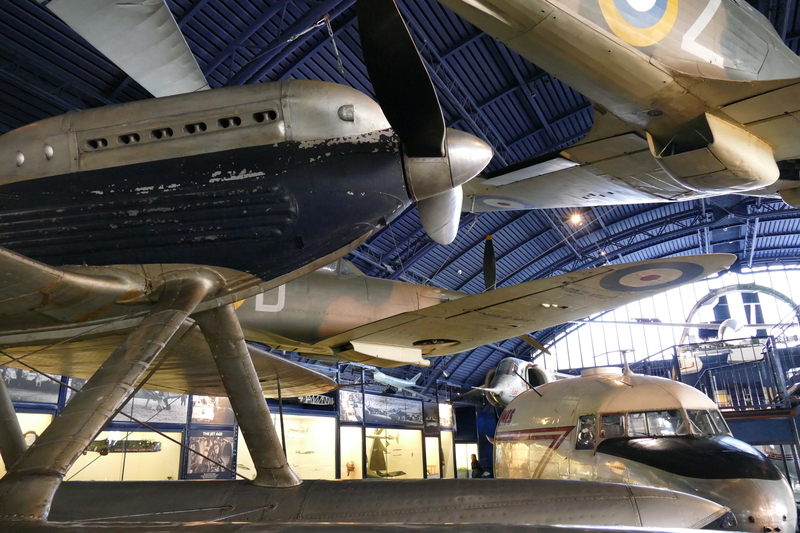 It is, therefore, good to know that two of these wonderful aircraft still remain on public display in museums, one S.6B and one S.6A. The “A” N248, can be found at the Solent Sky Museum in Southampton, the pictures below were taken when the aircraft was placed on static display at Goodwood Revival in 2011. The “B” model that remains is S1595, the final race winner. On display at the Science Museum the aeroplane has been left in an unrestored state which provides a wonderful time capsule from a golden age of aircraft development. The science Museum also has an “R” engine on display. S.6B at the Science Museum. If you have any interest in these wonderful designs then I urge you to get down to one of these museums, they truly are works of art. If you enjoyed this post keep an eye out for more RJ Mitchell / Spitfire themed posts this week – Why not hit the follow button below to receive and email when new posts go up? For information and general news don’t forget to check out Twitter and Facebook.